WHERE LEGALIZED ABORTION HAS LED THE U.S. !! Phoenix police are investigating the discovery of a newborn found alive in a trash can at a Phoenix school. 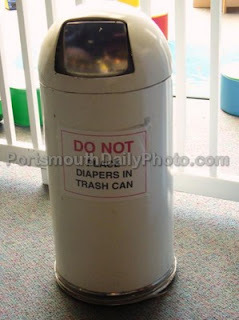 Police said a school administrator discovered the baby boy screaming inside the garbage can Tuesday afternoon with his umbilical cord still attached. The baby seemed to be in excellent condition. He also appeared to have been carried to full term, said Capt. Victor Rangel, a Phoenix Fire Department spokesman. Emergency crews took the newborn to St. Joseph's Hospital and Medical Center. The baby has since been placed in custody with state Child Protective Services, said Sgt. Andy Hill, a Phoenix police spokesman. Phoenix police said the 14-year-old mother gave birth to the child inside the administration building at Osborn Middle School. The Phoenix Fire Department later located the mother at a nearby apartment and she was taken to a hospital in good condition, Hill said. Due to the abandonment of the baby in a life threatening situation, investigators will do a possible child abuse report and submit it to the Maricopa County Attorney's Office for review, Hill said.